Getting post is one of the best things ever. It’s no secret that I’m a great lover of snail mail, and of course parcels are even better than letters. And if it’s a parcel full of vegan goodies? 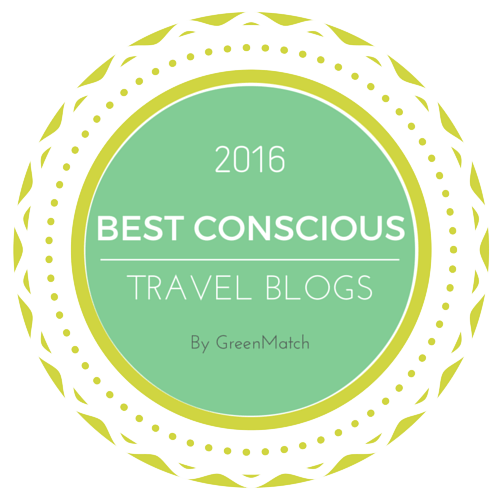 So much the better! 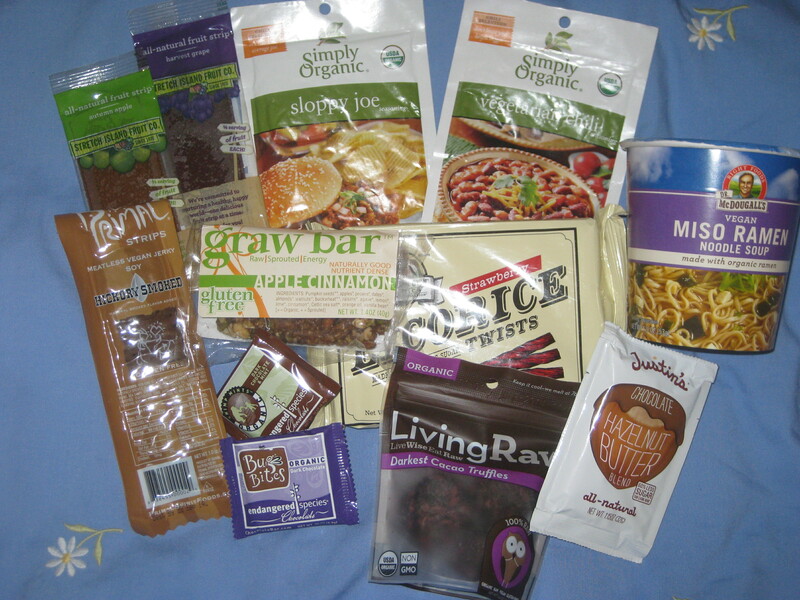 When I first became vegan, I signed up for the Vegan Package Swap, which is now sadly defunct. 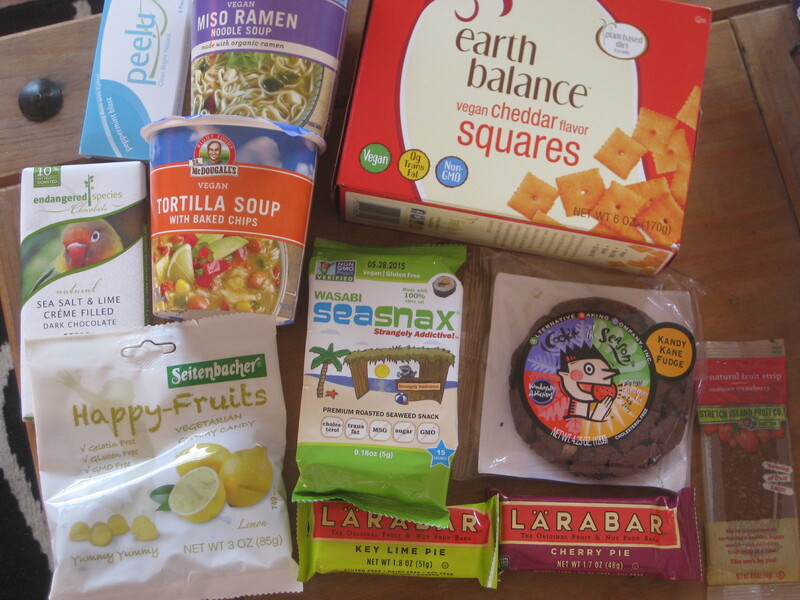 Every month I was matched up with a fellow vegan from around the world and we sent each other a box of tasty vegan goods. I received some excellent packages, and developed a taste for treats I wouldn’t otherwise get easy access to. It was wonderful. My first swap came from the USA, and I was delighted with it. The miso ramen pot noodle was the first pot noodle I ever got close to without feeling nauseated: it was good for an emergency. The red licorice twists were great – I rarely treat myself to jelly sweets in the UK, because it’s such a hassle going through all the ingredients to check for vegan status. Alas, there was jerky in the package. Jerky, even vegan jerky, is so unappetising to me. 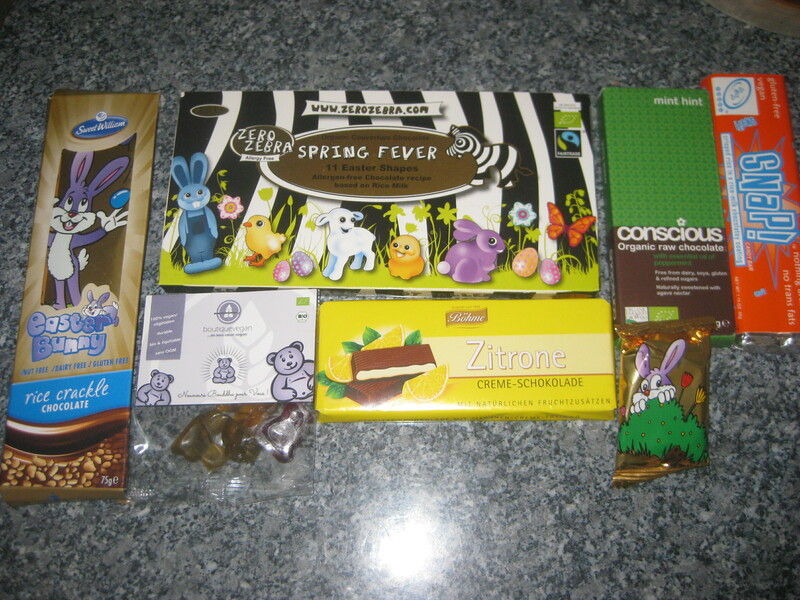 The next package was perfect for someone with a sweet tooth like me: look at all that chocolate from Germany! The Snap bar and Easter bunny were my first encounters with rice milk chocolate, and now I’m hooked. I’m often on the lookout for Snap bars now: milk chocolate with puffed rice. I was quite uncertain about the chocolate and lemon bar at first glance, but it was a surprisingly tasty combination. 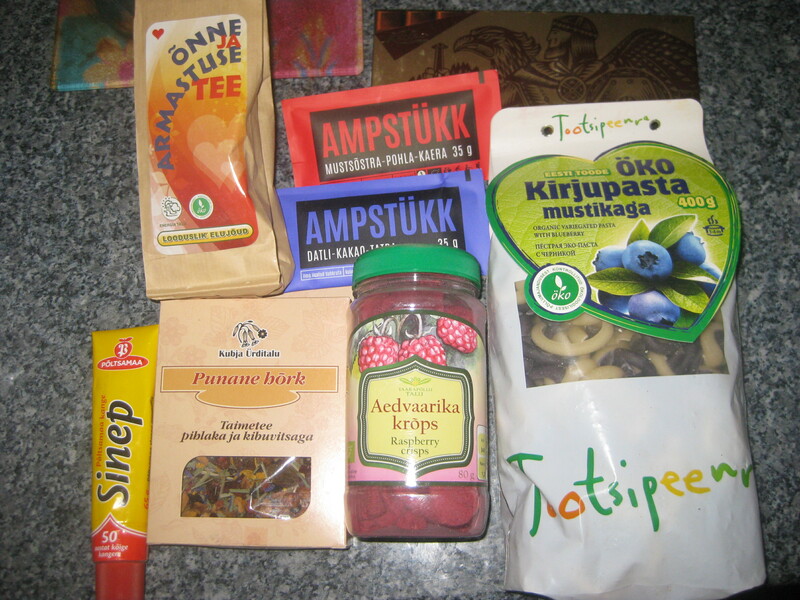 This package from Estonia was a bit too adventurous for me. The red and blue snack bars were fantastic, and the dark chocolate was nice. The raspberry crisps and blueberry pasta were a little daunting though! These goodies from Holland were more up my street. The chocolate nutty clusters in the bag were fantastic, and the jellies were wonderful. Back to America for this one. Another pot noodle (hurray!) and this time it had company. Both were good. I was not expecting to like the Earth Balance cheddar squares, but they were amazing and I wish they were available in the UK/Czech Republic. And that cookie! It was the first thing I ate on unwrapping the package (I generally start eating the second I’ve taken the photo), and it was good. 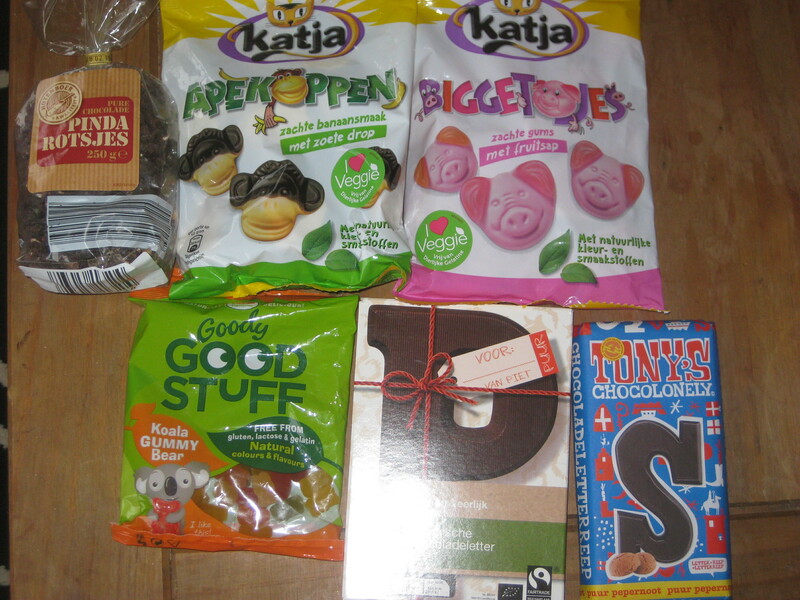 This package was also from the Netherlands and was also amazing. The giant bar of chocolate was nice, and Speculoos spread is always welcome. The chocolate bars and biscuits were good, but the real highlight was the Smooze! These little cartons of liquid had me baffled at first, but Dr HH quickly realised that they needed to be popped in the freezer. And voila! Little ice lollies! We can buy these in Prague now, much to our delight. 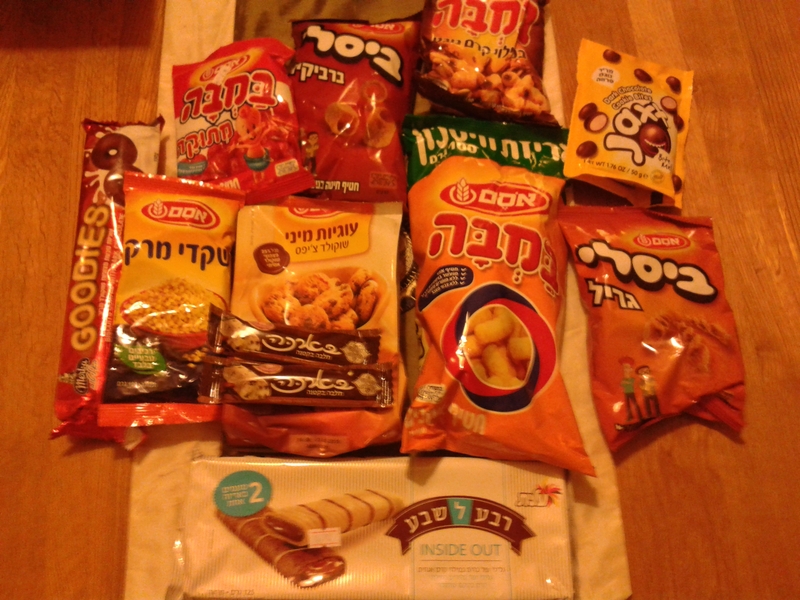 I had heard so many great things about the vegan scene in Israel, and they were proven right with this package. Obviously I couldn’t read any of the packaging, so my swapper had kindly provided descriptions, including suggestions like “These are great to eat while watching TV.” Lovely! There were lots of puffed crisps (like Wotsits), but quite nutty and sweet rather than savoury. The Goodies biscuits were very good too. It was a really good package. 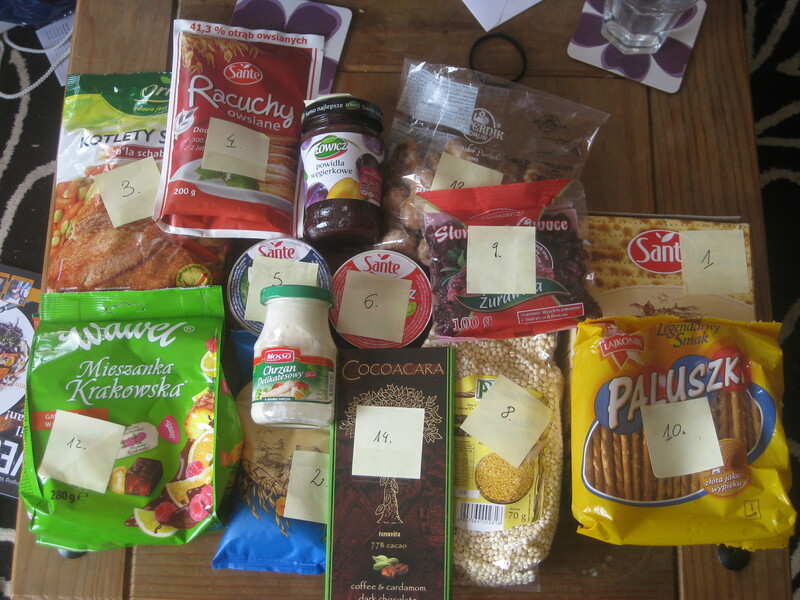 My next package from Poland was extremely generous and came with handy labelling and a list. There’s a bag of gingerbread hearts in there, and they were incredible, and very festive. The meaty cutlets were also lovely. Unfortunately we didn’t have time to eat everything before we moved away. And my final package was another from the USA. The two chocolate bars were fantastic (Twilight is essentially a vegan Mars bar, and it is amazing), and the lip balm tastes like Sprite. With the cocoa powder and sprinkles was a chocolate cake recipe as well, which was such a great addition. Personal touches are always nice! Since the package swap stopped last summer, I’ve really been missing these treats every month. I’ve found a Facebook group for swaps, but it doesn’t have the added security of a more well-organised exchange – you just have to rely on the other person being above board. I haven’t yet plucked up the courage to do it. 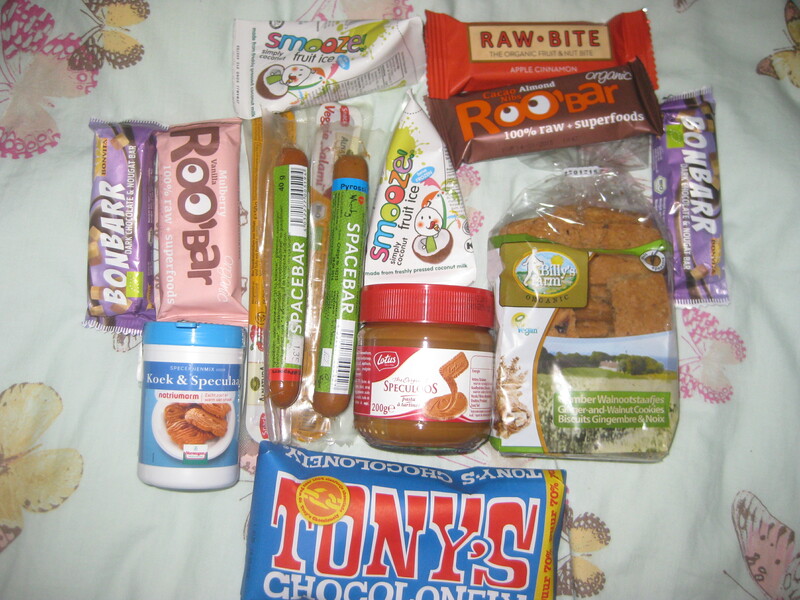 I know of a few companies that post out a box of vegan goodies every month, but I really liked the personal touches, and the fun of choosing my own treats to send abroad as well – the exchange is really what makes it work for me. So if any of my regular readers know of a safer alternative to the Facebook group, or would like to set up a private swap, let me know! 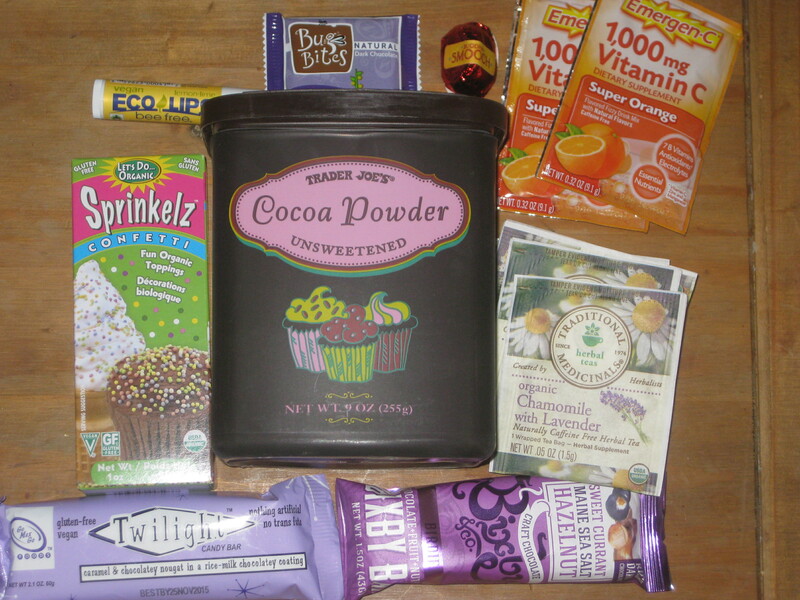 This entry was posted in General and tagged vegan lifestyle, vegan package swap. Bookmark the permalink. That looks properly amazing – I can’t believe that I haven’t heard of it until it’s over. I’d love to get involved. Let me know if you find a good substitute! I’ll keep you posted. I either need to find a US swapper, or go on holiday over there with an empty suitcase! Aw man! I would of loved to do this! It sounds much more fun than the VeganCuts box (an American monthly subscription box) I agree, it is one thing to just organize something like this on your own (I would happily swap boxes with you ^__~) and another to have a company organize it to give a little bit of a security that you are spending money with no rewards. It really was great fun, I’m so disappointed it’s not being organised any more. But yes, let’s do a swap! Nice collection. I thought about participating once, but the postal costs seemed really high. Yeah, I never found it too expensive from the UK, but I’ve heard it can be astronomical in some countries.